If you are in or around the Fort Worth / Dallas area, please visit our Porsche showroom at the intersection of University Drive and White Settlement Road. We’re just one mile west of downtown Fort Worth, right in between downtown and the museum district just north a few blocks from the 7th Street area. 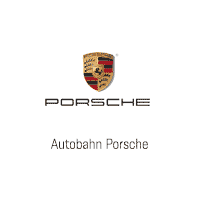 And for those who haven’t purchased yet, please let us know how we can make Autobahn Porsche your most compelling choice! Just so you know, our biggest source of customers is from repeat and referral business. We’re really grateful that so many customers return and tell their family, friends and co-workers.